God requires everyone to be under authority. Children are to be under the authority and protection of their parents. Sometimes God allows us to observe or discern things that our authorities do not perceive. In such situations, effective communication with our authorities is essential. When you are asked to do evil or when you're authorities are about to do evil, an appeal should be made. As you mature in Christ, you will learn to view circumstances in life with wisdom from God. As you gain wisdom, you will become better prepared to make precise, effective appeals. All your appeals may not be granted. However, if an appeal is denied, you can be confident that any suffering you experience as a result of standing alone and refusing to do evil is truly suffering that is for Christ’s sake. 1. Be in “right standing” with God and with your authority. Being in right standing with God means that you have repented (made a change of mind, heart, and direction) of sin, been baptized. Excepted Christ as Lord and Saviour of your life, and are walking in full communion with His Church. You must be in right standing with your earthly authorities. The following questions can help you determine if you are in right standing or not. Have you been obedient to your authority? Do you have a clear conscience? Have you fulfilled your responsibilities with integrity and excellence? You should be able to confidently answer each of these questions with an affirmative response. If you cannot, you should repent and do whatever is necessary so that you can reply affirmatively to these questions. 2. Have the right motives for your appeal. Your appeal should communicate your sincere concern for three aspects of your authority’s leadership: his reputation, his goals, and his authority. You should warn an authority about a wrong course of action that will damage his reputation. You should have an understanding of your authority’s goals and work diligently to help him achieve them. If you become aware of a situation that does not support his goals, you should make an appeal. 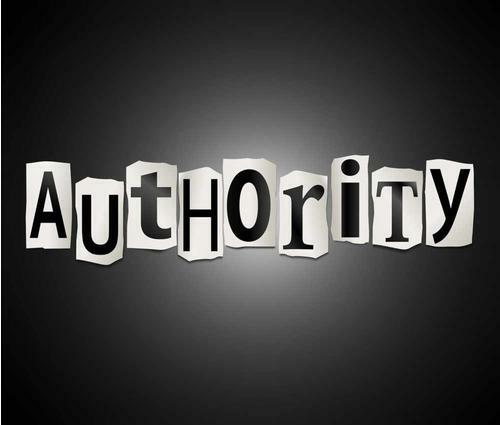 As part of your commitment to do all you can to make your authority successful, you should alert him to situations that would diminish or threaten his authority, because if he is robbed of his authority, he will be unable to fulfill his responsibilities. 3. Discern the appropriate time to make your appeal. Is my authority free to concentrate on my appeal? You may have prepared an excellent appeal, but if your authority is distracted when the appeal is made, it will not be heard. A wise petitioner will request permission to speak with his authority and gain his attention thoroughly before making the appeal. Will my authority understand that I am ready to make sacrifices in order for the appeal to be granted? If so, he will likely consider your request more seriously. Will my authority be able to count on my acceptance of his decision, even if he denies the appeal? Your authority must know that he has freedom to make the decision. He should not feel like you have already made the decision for him. To the best of my ability, have I honestly and thoroughly evaluated the circumstances, giving special consideration to my strengths and weaknesses? Have I provided all the pertinent facts required to make a wise decision? If your authority knows that you are either unaware of important facts or are ignoring them, he will probably have a negative response to your appeal. Have I thought about the way that my authority will relate to the information I present? Paul had wisely taken the king’s background, interests, and viewpoint into consideration as he prepared the appeal. Have I acknowledged any God-given hesitations about the appeal? More than any other factor, a wrong attitude is the reason appeals are rejected. An effective appeal demonstrates attitudes of reverence, loyalty, and gratefulness. Reverence is a by-product of realizing that God works through our human authorities. You should understand the difference between an authority’s divine position and his human personality. You should reverence him in relation to his position of authority, and you should show respect to him as a person. Loyalty is a quality that is valued greatly by those who are in positions of authority. Loyalty encourages a servant’s spirit—an inward motivation to make successful the ones whom we are serving. Appeals that grow out of a loyal spirit and a servant’s heart have an entirely different tone, and receive an entirely different response, than those that come from a disloyal, selfish spirit. An effective appeal should reflect an attitude of gratefulness. In fact, gratefulness is usually a key element of an appeal. It is possible to have a grateful spirit only if you give all of your expectations to God and recognize that whatever He gives is more than you deserve. 6. Use appropriate words to present your appeal. Usually, the very nature of an appeal reflects some degree of resistance to an authority’s directives. Consequently, it is easy for your words to be misunderstood. To avoid unnecessary reaction, choose words that can successfully guide your authority around potential mental roadblocks. Does my appeal begin with positive statements that I can express with sincerity? Will I say, “These are my personal convictions” and thus avoid condemning my authority, who may not hold those convictions? Have I written out my appeal carefully and checked to see that it includes all of the elements of an effective appeal? 7. Respond correctly if your appeal is rejected. Your response to an appeal that is rejected will reveal your true attitude about the situation. A gracious response not only will be a proper testimony; it also may prompt your authority to reconsider the appeal. Also, a right response will influence your authority to be open to your future appeals. If your appeal is accepted, you should express your genuine gratitude. Be sure to follow through with any commitments or offers that you made in your appeal. Regardless of your circumstances or your position in life, you have an opportunity to serve your authorities. Do all that you can do to protect your authority’s reputation, to help him reach his goals, and to help him maintain his authority.